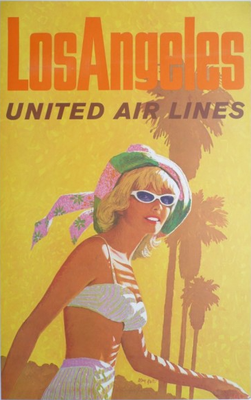 Original vintage airline poster collection and guide for airline and travel poster collectors. This website is dedicated to poster artists, printmakers and designers, who participated in creating traveling dreams. Enthusiasts around the world are collecting their sensitive artworks, which have never been made for surviving longer than a few years. 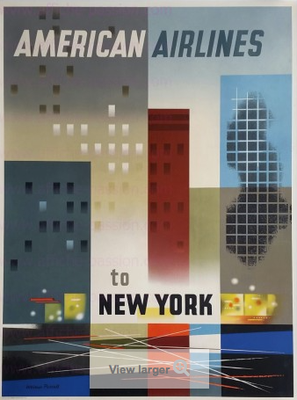 May be you are interested in purchasing and collecting airline or travel posters too, here you will find some inspiration. ”Propeller Propaganda” is the nickname I gave my original vintage airline poster collection. If you are unsettled by my choose of the term "propaganda": The sense of this expression is not originally pejorative. It means "material or information propagated to advance a cause, etc". Last not least: nobody is perfect – if you have some suggestions, please let me know. You are looking for a vintage poster price guide? Hard to find, but have a look at some stunning results of past auctions. If you enjoy this website, feel free to support my work. Thank you!